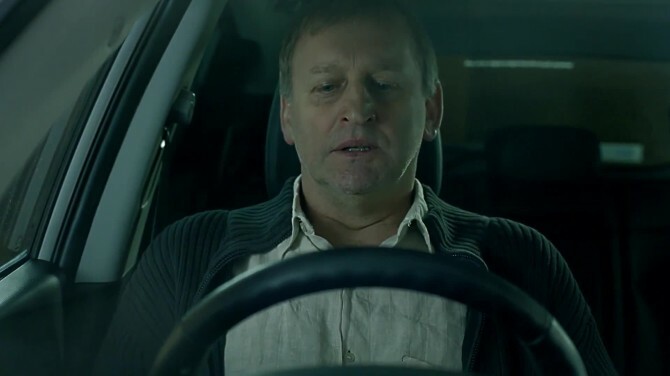 The furore over Hyundai’s latest car ad is understandable, and it’s not the first time the automotive industry has featured suicide as a selling point. It might be the last though. Apart from being distasteful, it was also clearly upsetting for anyone affected by the suicide of a loved one, as Holly Brockwell’s poignant open letter made perfectly clear. Much has already been said about the insensitivity of the ad, and I don’t wish to add further distress by commenting on a subject I am not qualified to discuss. However, I think it’s worth looking at it from an industry perspective and examining how we got to this point. None of the first three attracted anywhere near the same level of criticism that Hyundai and their agency, Innocean, have this week. Much of this is due to social media, in particular Twitter (which didn’t exist for the first two and was nascent in 2009), and the speed with which Ms Brockwell’s letter spread across the web. However, I also think that it reflects the much improved sympathetic attitude we now have to mental illness and depression. Just 10 years ago The Sun carried that awful headline ‘Bonkers Bruno Locked Up’. The general reaction of disgust marked the beginning of a change in public attitude to mental illness followed over the course of the next few years by a spate of high profile, ‘alpha’ males coming forward with their stories of depression and distress. Men like John Kirwan, Marcus Trescothick and Alastair Campbell. Of course there were others, women too, but these were the ones who for me, made the biggest impact because they operated in my world of sport and politics. Together, with the work of mental illness charities, they have completely changed the way we see and treat people afflicted by depression. All of which brings me back to today and the Hyundai ad. In the light of changing attitudes, the most troubling question is who on Earth thought it would be a good idea to create it, let alone put it online? As ad folk, they owe it to their clients and colleagues to understand and empathise with the prevailing mood of society. That’s what they get paid for – to leverage insights and tap into the zeitgeist. They failed. Spectacularly. It also highlights the age old battle between creative ego and responsibility. Some of the suicide ads are, dare I say it, clever, but that does not make them right. We all laugh occasionally at things we shouldn’t, but we keep these to ourselves and close friends rather than share it with the world. I can recall watching the VW Polo ad a number of times when it first appeared in 2005 and chuckling away to myself. Today, with all that’s passed under the bridge in the intervening 8 years, I’ve learned that it just isn’t funny and it certainly won’t help sell cars. So too now, I hope, has Hyundai.